VisiLEAN - Features: Reporting; Mobile; File Management and much more! Stopped tasks, PPC and DPR. Your teams get access to their work packages and can participate in pull planning sessions by creating lookahead and weekly plans themselves. Each team or worker gets their own swim lane in our schedulers where they can visualise their tasks and adjust the dates and duration as and when needed. They come better prepared to the pull planning session by doing their “homework” and add value by really coordinating the work with each other. 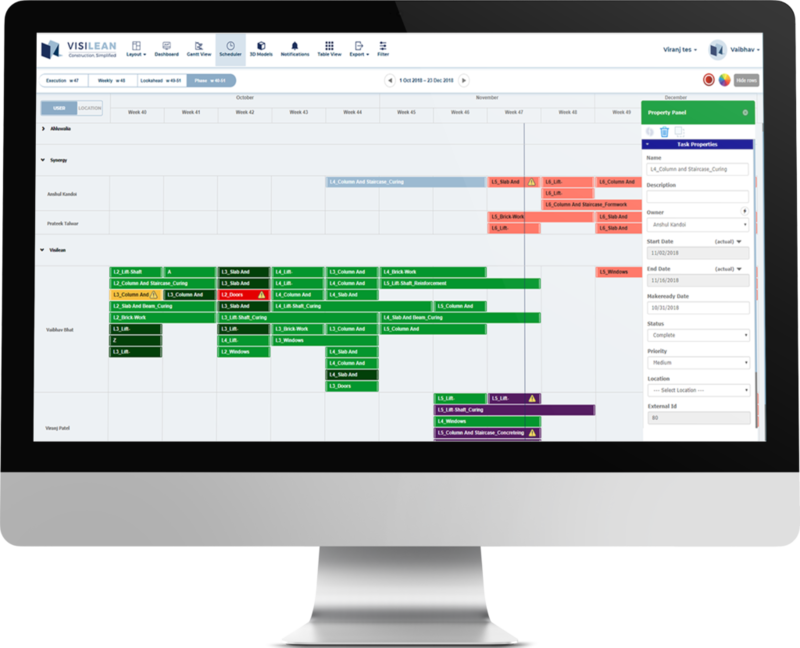 VisiLean empowers your team to take true responsibility and the whole project gets full visibility of all the plans. You remove coordination waste from your production processes as there are no process clashes. 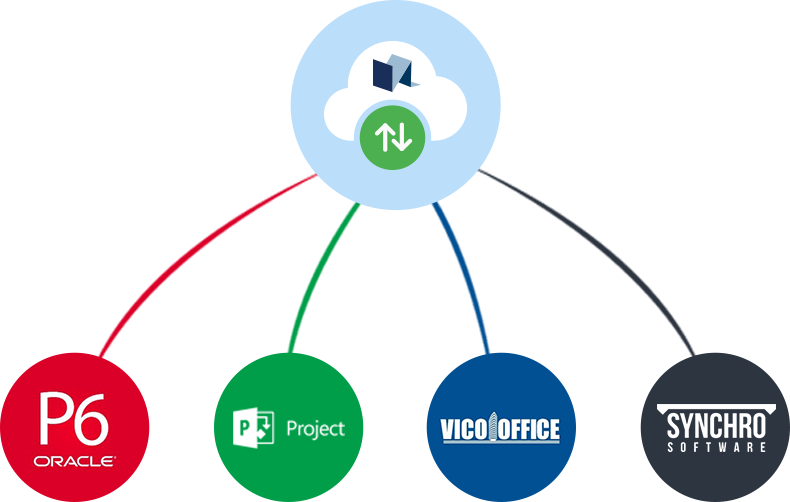 You can easily import an existing plan in VisiLean from another system such as Primavera, MS Project or Vico. The imported plan will preserve all the task dependencies and location information so that you can start assigning them to your teams. This way, your teams can still get access to key milestones and create sub tasks which are then linked to high level tasks. The progress tracking then not only updates the weekly or lookahead plans, but also your master plans, giving you an accurate picture of where your project is headed. You are in complete control of your project. Not only can your team visualise the models they can link their tasks to the model elements and visualise the progress in both task and model view. Activities and model elements can be filtered either by status (i.e. in progress, completed, quality checked), or by responsible team (subcontractor or worker). The model viewer supports all the functions a standard viewer supports, including cutting panes, measurements and a model selection tree. 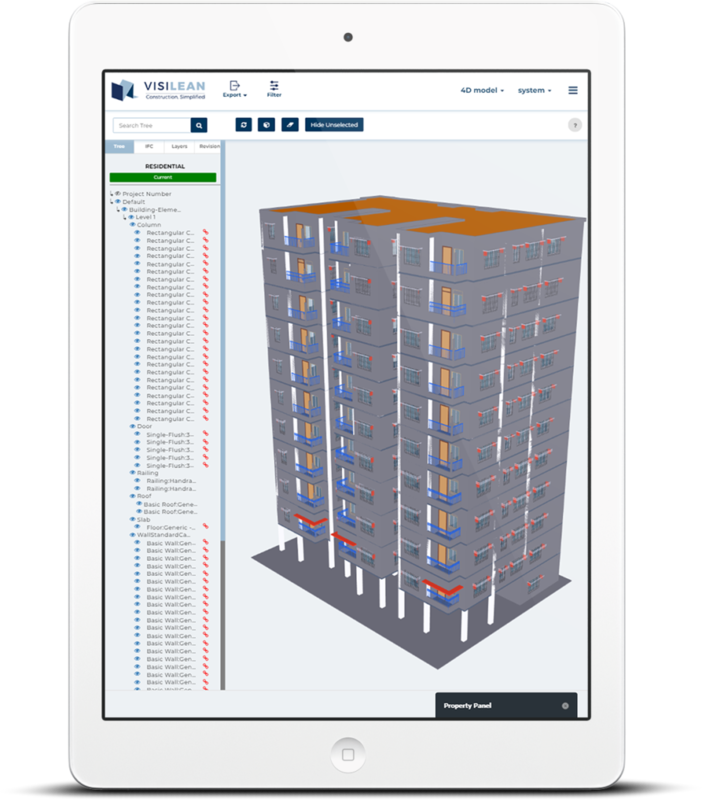 VisiLean supports open standards, so you can import your IFC model files exported from your preferred BIM software. Multiple models are supported, so you can load different models (i.e. structural, MEP, architectural) and still retain the plan links.